New Delhi, Jan 17: India’s hopes of creating history by winning a Test series in South Africa were dashed with a shambolic 135-run defeat in the second Test match in Centurion on Wednesday (January 17). Chasing a daunting target of 287 in their second innings, India witnessed yet another batting collapse as a star-studded side was folded for 151 with 68 of those runs were scored by the last four wickets. 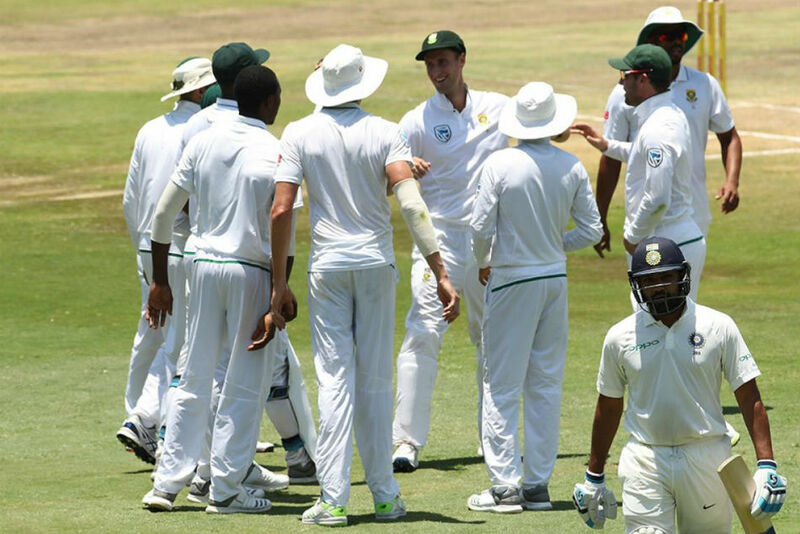 The Proteas defeated Kohli and his boys by 135 runs and took an unassailable 2-0 lead in the three-match series. No Indian batsman, barring Rohit Sharma (47) and tailender Mohammad Shami (28), could put pressure on the hosts, who kept picking up wickets at regular intervals. India boarded the flight to South Africa high on confidence as the No.1 Test side in the world showed a lot of promise before the start of the series. But in a gap of a fortnight, Kohli and his boys and coach Ravi Shastri got a reality check as they were badly bruised and battered by the hosts in every department of the game. South Africa made a mockery of India’s batting in both the Tests. The only saving grace for the visitors has been their bowling as their bowlers managed to grab all twenty wickets in the game. However, it is still debatable whether skipper Kohli utilised his bowlers to perfection and if he picked horses for courses. Congratulations South Africa on another wonderful performance. Lungi very impressive. Well tried , India.